China Aluminium Alloy External Hinge Manufacturer Junying Supplies Aluminium Alloy Free Swinging Hinges Die Casting for Doors and Cabinets, 100% Inspection. 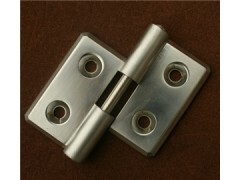 Type: External Hinge, Free Swinging Hinge. Surface Treatment: Anodizing, Power Coating, Zinc Plated, Chrome Coated, Nickel Plated, etc. Packing: Carton and Pallet or as your requirements.